2015 Fleet Predictions – time to dream! – HubNut – celebrating the average! 2015 Fleet Predictions – time to dream! This is where I boldly state that I will try not to buy too much old tat this year, which inevitably proves not to be the case. However, having had a stable fleet since October, things are already looking promising. Naturally, there may be trouble ahead. The XM needs an MOT this month, and the 2CV’s chances of passing one in April are entirely nil. In fact, just getting it the 800 miles required for her to hit 200,000 miles is proving a challenge. The other night, the headlights just stopped working. This was entertaining for my wife who was driving at the time. I rushed out in the XM to (completely fail to) assist. My wife then followed me back home with only the sidelights working, though the 2CV’s headlights suddenly started working again after a mile or so. At which point, the XM’s lights dipped and a warning light flickered on – relay woes. Headlamp woes afflict final push for 200,000 miles. One fell apart. New one now fitted. I changed the 2CV’s headlamp switch, though I couldn’t find much wrong with the old one bar a bit of wear. One of the old headlamps fell apart when I removed it though. Rusty! I managed to dig a spare out of the mess I call a parts stash. I’ve cleaned up the XM’s relays too, dropping one in the engine bay never to be seen again. DOH! I’ve also had another go at sealing the dodgy sunroof. Few things are more depressing than a car with a water leak above your head. It’s a pain, as I really like the XM and (famous last words) I see absolutely no reason to get rid of it. My plans for the 2CV mainly involve trying to find a better body. 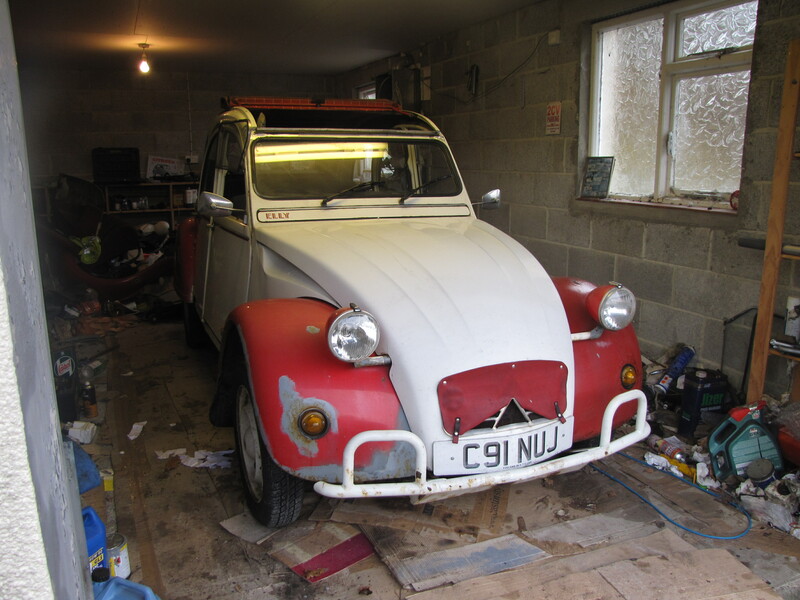 I will either replace my 2CV’s rotten body with another or may use the good bits of my 2CV to restore another. This is likely to take time, so I can get back to predictions. There are only two cars I currently desire, and both use a 2CV chassis. The Dyane and the Ami 6. Let’s start with the Ami, as it is the most absurd. J’adore the Citroen Ami 6. Bonkers. The reason why I want to own one is surely apparent. They’re utterly gorgeous in a very, very odd way! 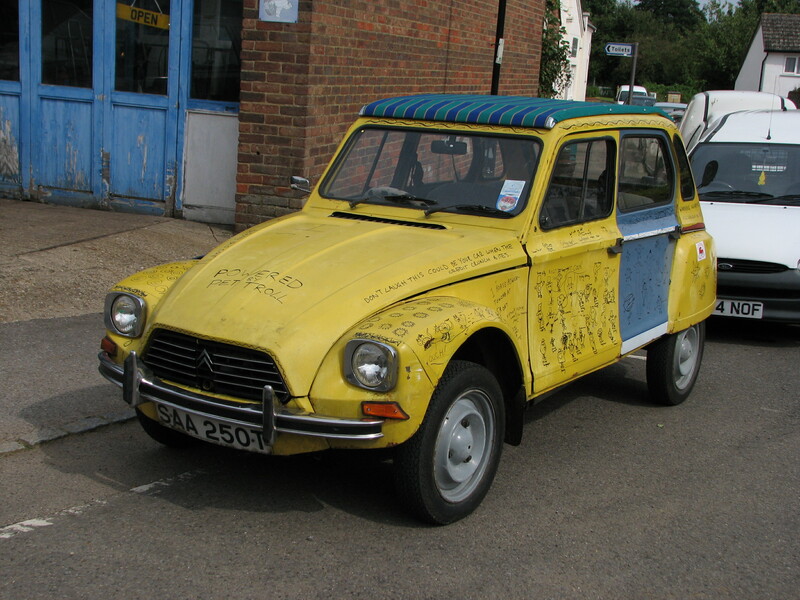 Intended to fill the chasm between 2CV and DS, the Ami used the former’s running gear (albeit with a larger 602cc engine) and some trim from the latter to create a huge success story. In France. The rest of the world just couldn’t cope with the looks and only a handful of right-hand drive Ami 6s were produced. The later Ami 8 had wider appeal, but I’m not so keen on the toned-down looks. The one pictured was loaned to me by Pete Sparrow. I was absolutely bowled over by how much fun this car was to drive! It has a lightly-breathed-on 602cc engine from a later 2CV but almost more fun than how it goes is the shocked reaction of folk as you drive past. It’s the ultimate WTF-Wagon. There are still plenty of them for sale in France, so I do have dreams of going for a holiday and coming back with a little Ami. It’s a plan that requires more money than I currently have, but I’m hoping for developments on that front. An alternative to the screaming ridiculousness of an Ami is the Dyane. 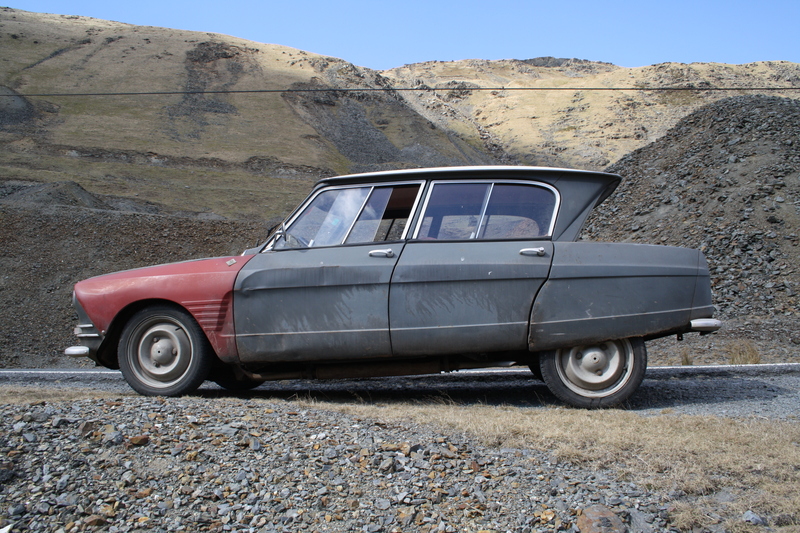 Intended as a 2CV replacement, the Dyane never quite had the charm of its stablemate, though 1.4-million were sold between 1968 and 1983 – not bad going. The Dyane has better aerodynamics, doors that don’t flap at motorway speeds, a useful tailgate and more internal space. My third A-Series Citroen was a Dyane and we clocked up 14,000 miles together in just one year. A colourful Dyane I met a few years back. I really like Dyanes. They’re enormously practical and just as much fun to drive as 2CVs. There’s a decent chance of finding a right-hand drive one too, as they actually did sell reasonably well in the UK. Again, no chance of buying one just yet due to funds, but definitely on my radar. The thing is though, I’ve owned Dyanes before. Much as I love them, I’ve never owned an Ami, and I am always drawn towards new experiences. On the downside, an Ami is going to be left-hand drive, which does cause some issues. Not insurmountable though and I don’t recall having any bother with the one I borrowed. So, there you have it. I’m boldly predicting that I will own a Dyane or Ami this year, and maybe even start the 2CV’s resurrection if I have any money left. Watch me now flog everything and buy a Perodua Kenari or something. The good old XM relay issues. Before I moved my one on, I had to replace most of the relays under the bonnet slam panel as the relays had all corroded. Sometimes they can be brought back to life by cleaning the connectors but its only a stop gap. I also had to wire in a remote relay for the slowly failing ignition switch. All the relays were bought from Halfords. They’re either 4 or 5 blade relays depending on position. As for your leaky sunroof – more likely to be coming from pinholed or crusty glass carrier frame – often goes at the corners – failing that, the radio aerial can leak where it passes through the roof.